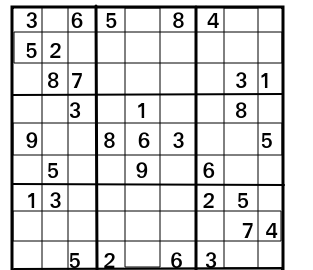 Given an incomplete Sudoku configuration in terms of a 9x9 2-D square matrix (mat) the task to print a solution of the Sudoku. For simplicity you may assume that there will be only one unique solution. The first line of input contains an integer T denoting the no of test cases. Then T test cases follow. Each test case contains 9*9 space separated values of the matrix mat representing an incomplete Sudoku state where a 0 represents empty block. For each test case in a new line print the space separated values of the solution of the the sudoku.